Police in the Battlefords are asking for the public’s assistance in finding 16-year-old Creedon Hotomani. The teenager went missing from the Saskatchewan Hospital shortly after 9:30 p.m. Monday. 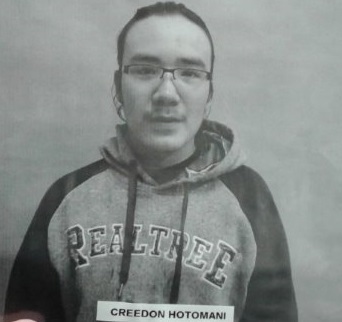 Creedon is described is an Indigenous male, standing at 5’5″ tall and 170 pounds, with long black hair and glasses. He was last seen wearing a light grey sweater, baseball hat and blue jeans. Creedon hails from Carry the Kettle First Nation and it is believed that he might be returning home. Anyone with information on the teen is being asked to contact RCMP or Crime Stoppers.